Ha, but only the quilt and not the season ! Spring is so wonderful this year in the UK. We have the best weather ever and after a little bit of rain on the weekend everything seems to be even more green and sparkly. 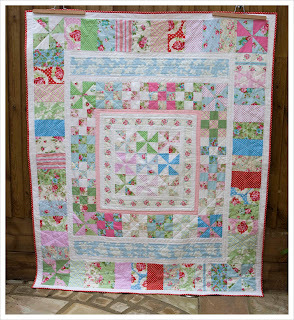 This quilt puts a smile on my face every time I look at it. It is so fresh and light (I know I said it before). So here are the pics and a few more details on the pattern etc. 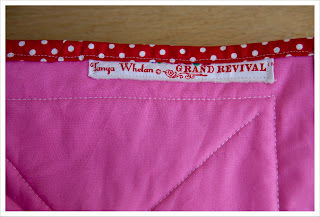 You may remember from previous posts (here, here , here and here) that I bought a fat quarter set of the entire Tanya Whelan 'Delilah' collection (and I have lots left actually). 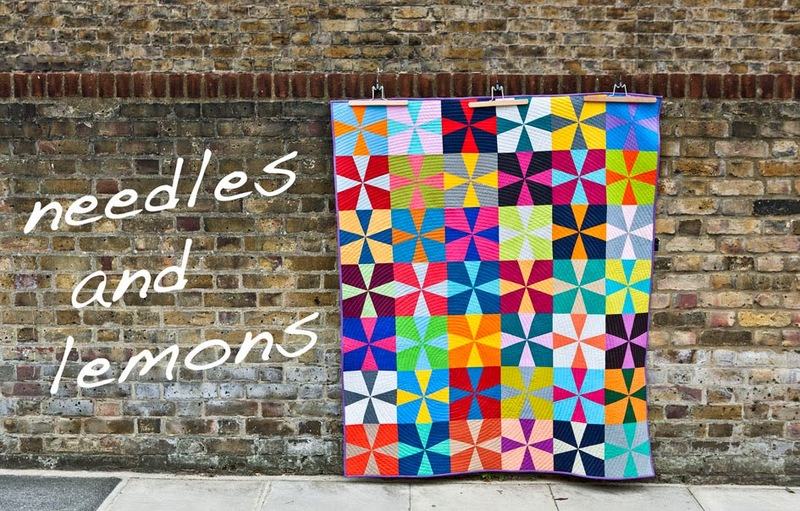 This is a fabulous and coherent collection in pattern and colour. 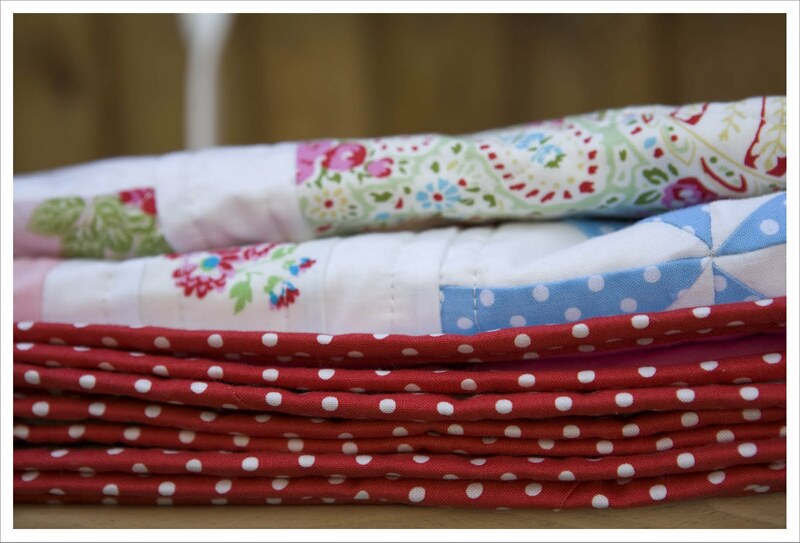 I tried to ensure that I used the petite flowers on the smaller quilt pieces, i.e. the pinwheels and the 9-patch. I used the larger flowers for the outer brick pattern with the aim to use the versatile fabric pattern to its best potential. The back is pieced as you can see and I made good use of leftovers and the solids I used on the front. I put a strip of the white on red dots onto the back too as I used this as the binding and wanted to make sure that the binding was offset on the both front and the back. The finished quilt is 57 x 67 inches (that is 1.45 x 1.70 m) . 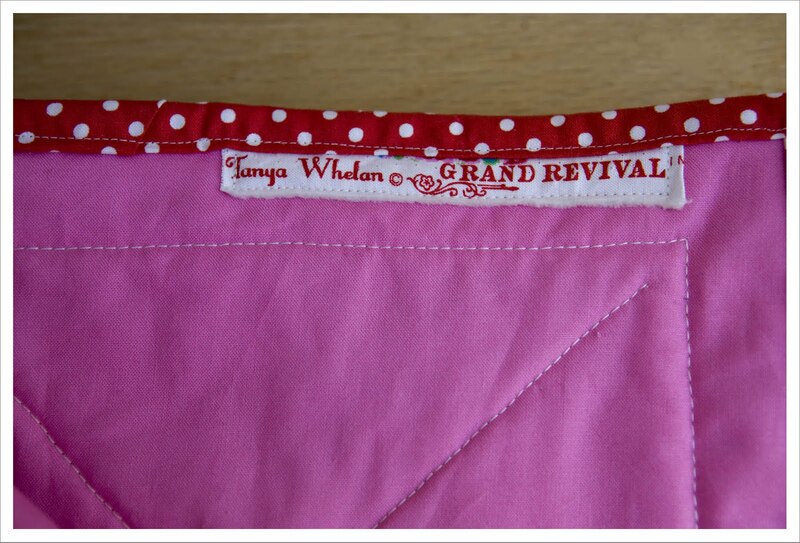 Here is a close-up of the binding. 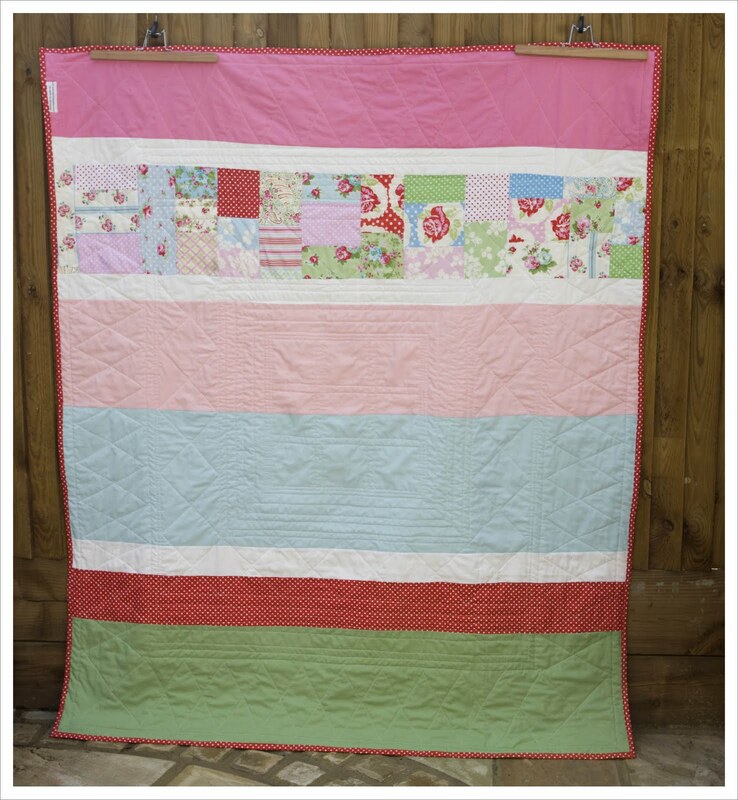 I love this choice as it adds a slightly different note to the quilt and in addition frames is perfectly. It just gives it that little something. 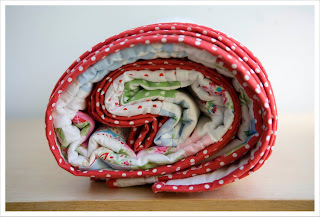 I really think a quilt is made through its binding. What do you think ? And of course one has to have a couple of sausage roll pictures in the set. 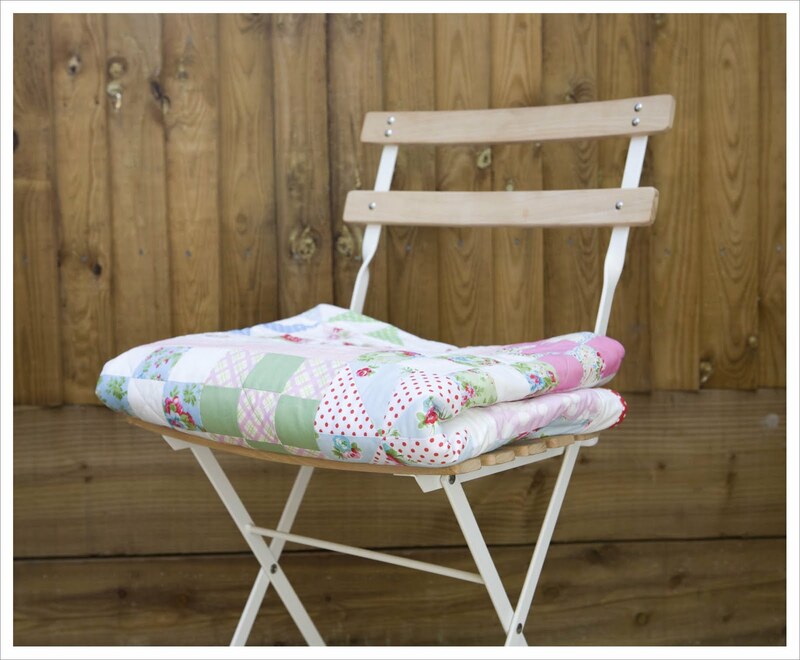 I used my favourite wadding which is Quilters Dream Select weight (100 % cotton). The quilt was machine quilted in straight lines that emphasis the front pattern. I used Guerterman Sulky 30 in col. 1071. I am thinking of making a free downloadable pattern from the quilt and I wonder if anyone would be interested ? 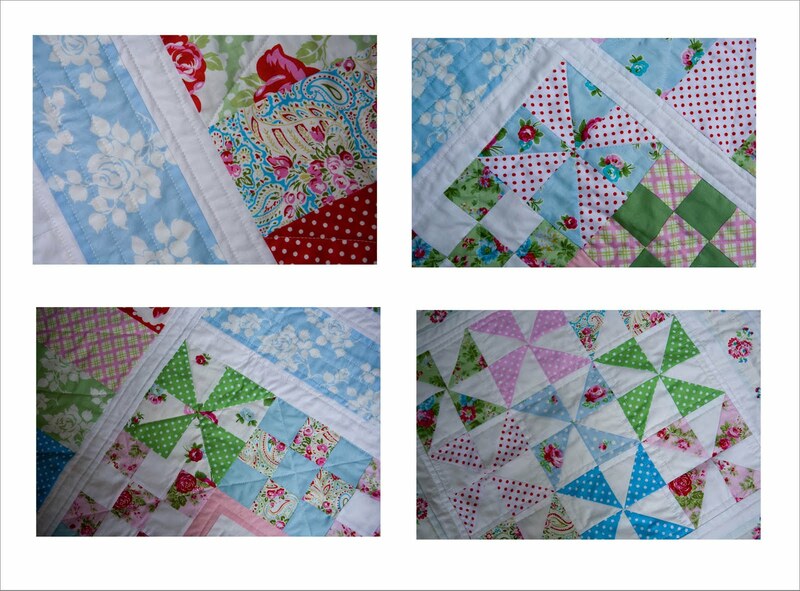 This quilt can be found in my Etsy shop. And lastly a few close-ups of some detail. I'd be interested in the free downloadable pattern. Thanks! The binding is totally excellent - really perfect, (I will be on a binding mission later this week, hopefully). A pattern would be great, as I am so good at following them...not; but I'm learning to appreciate that winging-it doesn't always work! 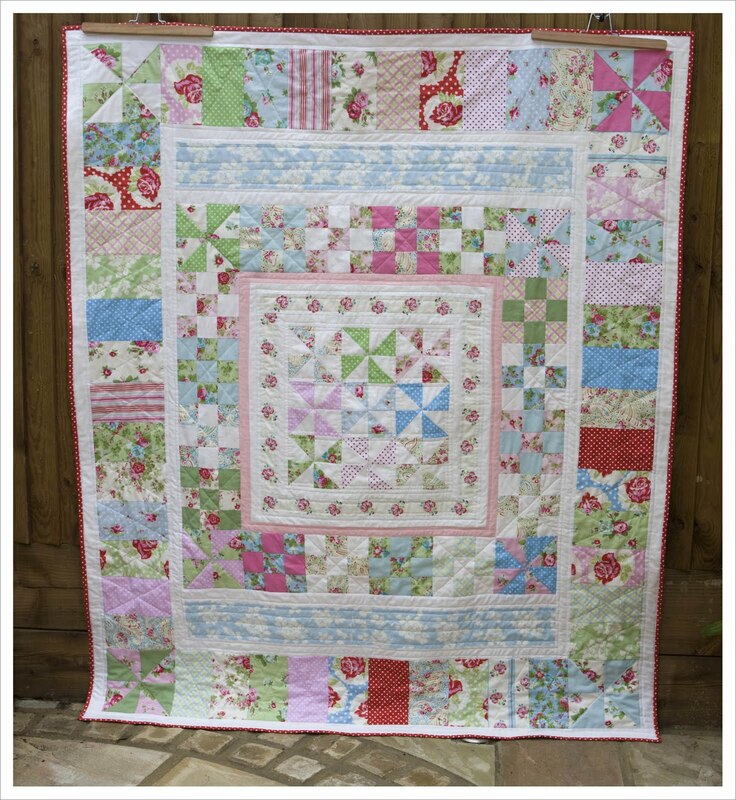 This is a really lovely quilt. The colors are so cheerful and uplifting. 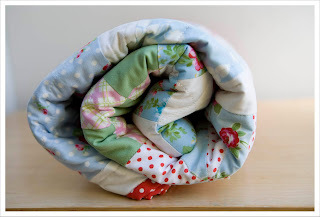 I love the pattern, and would love a free downloadable pattern. Thank you. Oo OO pick me...how quickly can you get it together? Maybe we can put it out with your interview? What ya think? 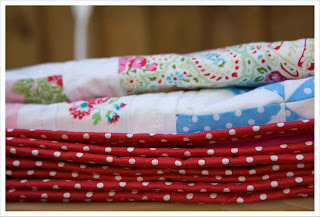 I DO love a spotted binding! I'd love the downloadable pattern. Thanks. 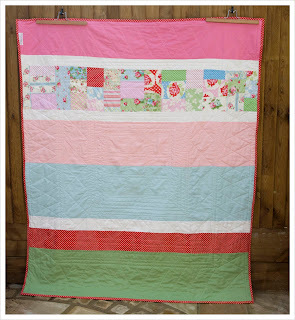 Lovely quilt and yes please. 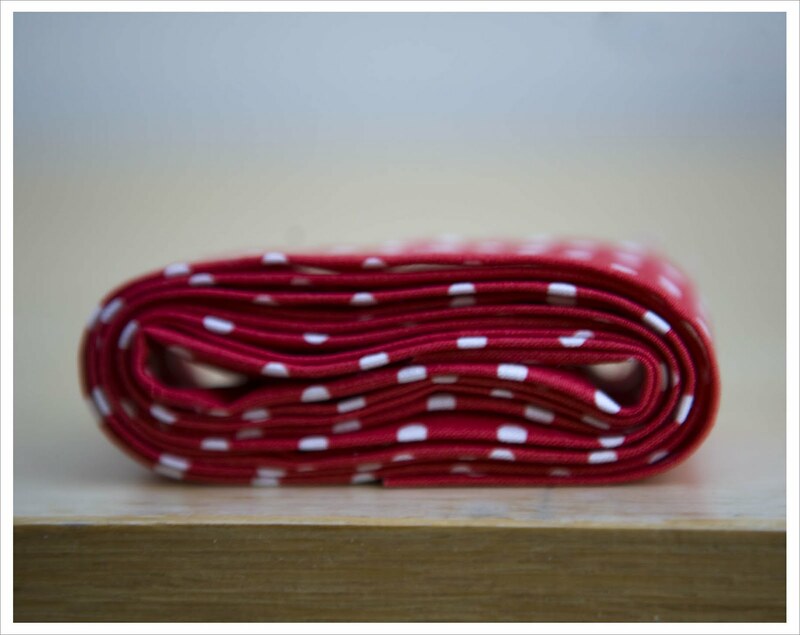 Spotty binding really finishes it off. Great quilt so yes please!